After spending a few weeks in India (a place not as accessible as Europe or the US), here is what helped me through. These are the items I can’t travel (or live) without. Yes, we all have lots of different adapters, but this was the most expensive one I’ve ever bought – and now I know why ($14). Not only does it have 2 USB ports (so you and someone else can both plug in your phones, tablets etc. ), but it also has a full size, regular American outlet. This means I could plug in my grounding mat because it had the third rounded hole – the grounded part of the American outlet. Wahoo! Other adapters only provide the two horizontal slots to plug in your electronics. You need the third hole in order to use a grounding mat while traveling outside of the US. India was type D, but every other country is available. I’m giving away all my other light-weight, crappy adapters and only using these from now on. Most of you know how powerful grounding is and how I won’t go a day without it (and you shouldn’t either! :), so bringing this was a no-brainer. Using my grounding wristband at the airport because, well, that WiFi is everywhere and it’s not beneficial for my body, ie too many positively charged free radicals — the negative ions (that radiate from the surface of the earth — for FREE), squash all of them. Talk about less wrinkles, better sleep, less aches and pains and more! Grounding is a game changer. However, I found that the grounding wristband was a little easier than the grounding mat. I could use the wristband while waiting at the airport and it stayed on while I slept. The best thing about grounding was NO JET LAG. This was mentioned in the book, but until you experience it, it’s pretty darn great. When I returned home, after being gone for over 2 weeks and having taken a 15 hour flight from Dubai, I never woke up at 2 or 3am and I was never tired early in the evening which is what normally happens when I return from being overseas. The grounding mat immediately synchronized my body to the current time zone because it is giving me contact with the earth… and my body is electric! If only they could put negative ion machines on air planes – then no one would get jet lag! Oh, well – that’s what a grounding mat does – delivers the negative ions radiating from the surface of the earth, right to my body. The benefits (great sleep, no jet lag), are endless. And to think, some people go years without every connecting! Yikes! I take digestive enzymes while at home, but when traveling, they are especially helpful because you are trying lots of different things. Plus, not everything is soaked to remove the phytic acid or enzyme inhibitors that prevent us from absorbing any of the nutrients from nuts, seeds and grains. During the first few meals, I could feel my tummy rumbling, but after taking these, it stopped. They are a life saver – while traveling and at home. I’ve talked about this before - how iodine is needed by the thyroid, breasts and uterus yet the thyroid can only hold on to it for 24 hours (sooooo many women with thyroid issues, right?! ), so not only do apply liquid iodine daily to each breast, but it is a travel essential. Just 2ml added to water daily kills any giardia and bacteria that might be in the water. It doesn’t change the taste of the water, but I don’t leave home without (just Google Lugol’s iodine – which is the same product, and you’ll see why this is a must in the world of healing without drugs). The one I use from Amazon was recommended by my naturopath as it must be from kelp, not with kelp. I love taking a water bottle when I travel because it’s a great way to avoid drinking out of plastic. But I didn’t bring just any water bottle… I brought my VibesUP stainless steal water bottle with crystals on the bottom! The crystals and gemstones on the bottom of this bottle UP the vibration of the water. They are designed to energize and balance the water. Because we are supposed to be drinking directly from nature - from springs and rivers, but all the manipulation and forced movement through pipes, creates disturbances in our water, which when then drink — the crystals on the bottom restore water’s natural, high vibe, healing frequency. And since it’s made of food grade stainless steel, it stayed cool and was super lightweight. Love my high vibe, energizing water bottle! Emirates is the only airline that actually filters the air on their planes (instead of recycling the same air throughout the flight), but even so, I like to travel with lavender essential oil for a couple of reasons. 1.) As soon as someone sneezes, I apply some essential oil to my nostrils as lavender is anti-bacterial and helps keep the germs away. 2.) Lavender is a wonderful way to get your body into rest mode when it’s time to sleep. You can sprinkle it on your sheets or pillow case or use it to sanitize the door knobs or remote controls* – these things almost never get cleaned in hotel rooms (or on airplanes). 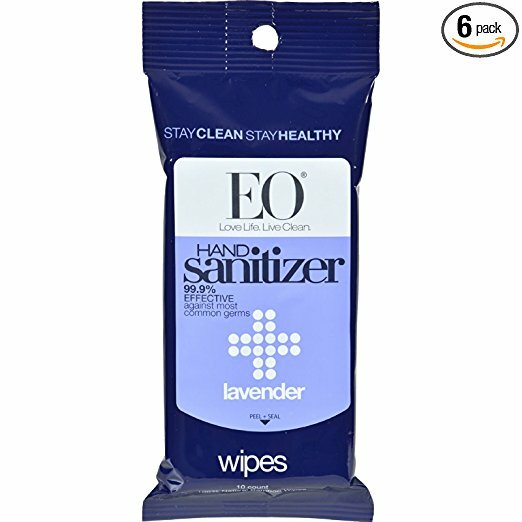 * For door knobs, handles, seat rests etc., you might want to use EO’s lavender wet wipes. These were a huge help in India as many times we had to take off our shoes (for temples), and things in general were very dusty. These lavender wet wipes are non-toxic (they don’t smell like alcohol unlike other hand sanitizers), and they easily cleaned off our feet and refreshed our hands and faces. This came in handy as I used it to wash underwear and fruit. Yes, fruit! While a banana is easy, an apple you have to wash. I mean, who knows where that apple has been?! I use left-over pieces of plastic wrap to make sure liquids don’t spill while traveling. Unscrew the cap and then put the plastic wrap over the top of the bottle. Screw the cap back on. Just a dash of Dr. Bronner’s liquid castille soap (I travel with the citrus one – great for laundry and washing fruit), and my apple is ready to eat. It can be hard to eat healthy while you’re traveling – add in being tired and in a different country, and poor choices can be easy to make. For these reasons, I always carry snacks with me – not because I’m vegan, but because the food on airplanes is not food (it’s been microwaved, in aluminum, and is so oversalted because we are on a plane and our taste buds are desensitized)….. and, sometimes, I just want a snack I know is organic & healthy! Go Raw is one of the only 2 companies I have found that make 100% organic, raw, vegan, gluten free and SPROUTED snacks. Sprouted means that the food is alive – the nuts or seeds have been soaked so they are easier to digest. It’s easy to find a snack bar that has organic ingredients with nuts, but NONE of those are sprouted. This means my body has to work so hard to break it down and still can’t – because that’s the way nuts, seeds and grains protect themselves – by being coated in enzymes inhibitors or phytic acid. 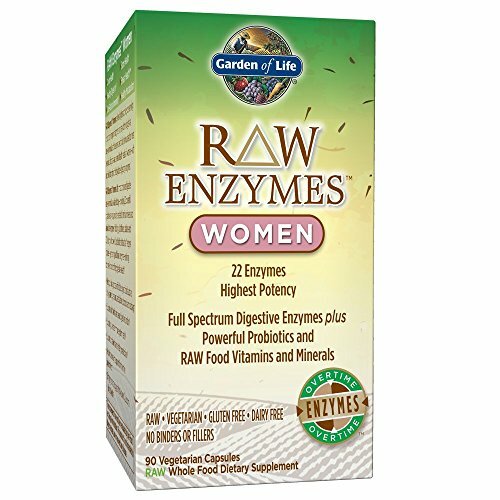 Taking digestive enzymes helps and/or only eating items that have soaked/sprouted ingredients. Go Raw is my go-to for snacks made with sprouted ingredients. Psssst – The small snack bars are tiny. The big ones are the sizes we are used to. I love the spirulina ones, the apricot (it’s sweet), and the banana bread flavors the best. I also have a recipe for the best non-toxic, 100% essential oil bug spray that my naturopath made for me while on safari in India and warding off mosquitoes anywhere else in India. It worked great!! I will update this post (and make a separate post with that recipe), but I hope you will find this helpful - for daily life and your travels!